This year’s Conference of Director Generals of Police held a special significance because it was organized at Kevadiya in Narmada district of Gujarat, under the shadow of the Statue of Unity. 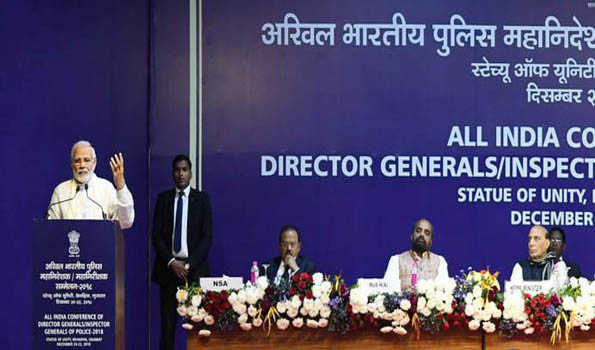 It is worth mentioning that it was Sardar Vallabh Bhai Patel who, as the Home Minister of the Country, had inaugurated the first Conference of Inspector Generals of Police in Delhi in 1948. For this reason, Sardar Patel’s message of National Unity was the underlying theme of this year’s Conference.